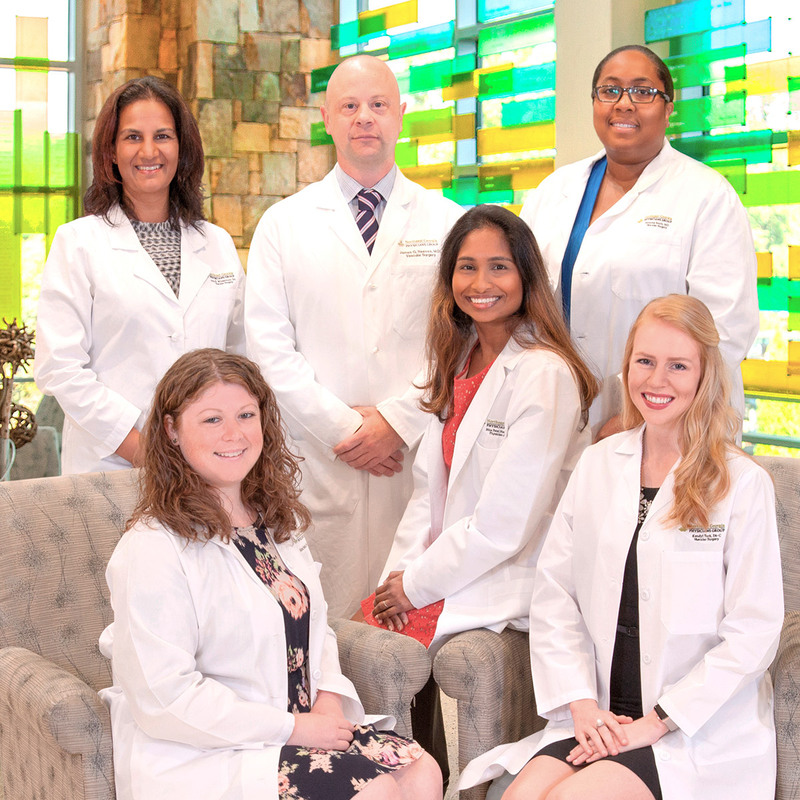 Northeast Georgia Physicians Group (NGPG) Vascular Center is where compassionate care meets technology. Utilizing the full complement of open surgical and endovascular techniques, our board certified vascular and endovascular specialists – with more than 70 years combined experience – are experts in the treatment of peripheral vascular disease, cerebrovascular disease, aneurysm disease and vein disease. As experts in current innovative procedures to treat arterial and venous disease, our specialists’ philosophy of treating vascular disease is to use the most advanced endovascular techniques combined with the best of traditional surgery to achieve optimal results for our patients. We treat the most complex aneurysms with minimally invasive techniques. The state-of-the-art hybrid operating room at Northeast Georgia Medical Center provides our surgeons unparalleled imaging capabilities. For our patients, that means a shorter procedure, less postoperative recovery time and less risk for complications. You’re in the hands of some of the most accomplished specialists in the nation. Our specialists have received a number of awards for teaching excellence, leadership, and independent scientific research. With more than 70 publications, 490 citations and collaborations with more than 120 co-authors, our specialists remain on the cutting edge of medicine.